Wedding feasts deserve to be served in fabulous settings. We present some classy ideas that will serve up memorable visual feasts for your guests before they start relishing the cuisine. 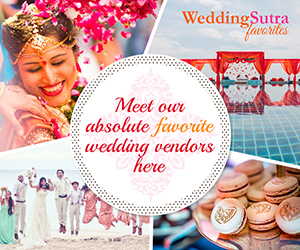 To organize the best wedding party in town click here. From dainty blooms to dazzling crystals, quirky motifs to quaint accents - dining decor at weddings are evolving rapidly as tastes change. We bring you some of the top timeless setting ideas for indoor and outdoor events that will whet the appetite for beauty and splendour. Towering centerpieces crafted with delicate spherical glass votives hung upside down with candles makes for an unusual and elegant ballroom setup. These gorgeous, glowing attractions paired with dainty floral arrangements are all you need to create a picture-perfect setting. Bring the exotic flavour to your tables with accents that evoke Arabian glamour with purple satin drapes reminiscent of desert tents, blue chair sashes and minaret backdrops. Peacock feathers, brass 'Aladdin' lamps and embossed table covers embossed with swirl designs are nice touches to add to this theme. Outdoor dining settings can look as haute as a ballroom ones - this peach and mint setup on a beach in Oman is the perfect example with its muted gold floor cushions, pretty chairs, sheesha pipes and delicate floral arrangements that are perfectly coordinated to match the decor. This setting with peach canopies and pillars does not compromise on comfort - thanks to the matching divans placed strategically for guests who want to relax after feasting. Weeping willows and pretty pink blooms evoke the gentle essence of English countryside romances. This dreamy canopy will transport your guests to a lush whimsical wonderland akin to an enchanted forest. Matching floral arrangements and table covers will bump up the overall effect and this theme is perfect for bringing the outdoors indoors. Sparkling Swarovski crystals embedded in wedding bouquets and floral table centrepieces can light up a table setting in a very classy and discreet way. This is a new trend in wedding dining decor and is fast becoming very popular among the well-heeled crowd. These crystals pair well with blooms in muted colours and contrast strikingly with deep red and maroon flowers. Sometimes all you need are exotic flowers to add colour and glamour to a table setting. These white anthuriums blended with baby's breath blooms and pink roses cascading over woody vines make a stunning display. Anchored at the base with a smaller matching arrangement, this setting evokes wonder from top to bottom. Al fresco dining at a destination wedding doesn't get much better than a table setting by the sea where the sound of the waves, hurricane candle holders lit up on tables and fairy lights strung across the slender trunks of trees work their magic on the beach. This freewheeling, casual setting is perfect for loved ones who can dress down or up depending on their mood before tucking into seafood delights and scintillating conversation. Let your wedding stylist create a floral fantasy around the dinner tables with tall floral centerpieces fixed atop brass holders and matched with contemporary floral table runners. Even this simple arrangement can look striking in the right ambient light of the ballroom or banquet hall. This theme makes whacky look wonderful - think rabbit sculptures, psychedelic pops of colour, mossy forest accents, playing cards and tea cups arranged in quirky ways. Inspired by Alice in Wonderland, these bizarrely enchanting arrangements and motifs will keep your guests engaged in discovering cool corners where the only limit is the imagination. Votive candles get our vote when it comes to ease especially when you want to create a natural light setting. Perfect for outdoor wedding setups, candles can be placed in cutting chai tumblers and even teapot vases. Try and opt for transparent holders which will reflect the candlelight and give off a beautiful glow. Pair these with elegant table runners and floral bouquet for extra glamour. Rock your reception with a ballroom decorated in gold, rose-gold and dark blue velvet accents. Add a hint of whimsy to the chair capes with cute organza fringes and classic tableware, glistening crystal and elegant centerpieces. Sometimes over-the-top arrangements are needed to add that 'wow' factor to wedding dining settings. This giant maroon centrepiece in rich scarlet and maroon hues pairs well with the dramatic chandeliers. The sheen of the carefully chosen jacquard table cover ties everything together beautifully. Wowed by these dining set-ups and wish to throw the Best Wedding Party in Town? Get some help in organizing here.